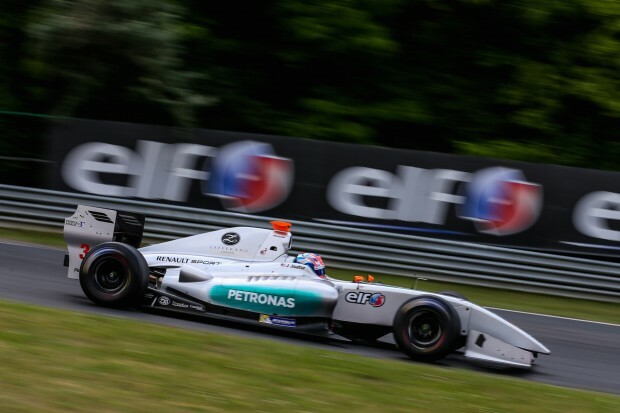 Jazeman Jaafar will be out on track fighting in the Formula Renault 3.5 Series this weekend, with the fifth round of the championship behind held at Red Bull Ring. After scoring a fourth place finish in Budapest last time out, Jazeman is hungry to be back on the podium to ensure he stays in the title fight. Red Bull Ring, originally known as Österrichring, was built in the late sixties, with Formula 1 first visiting the circuit in 1970. The venue was a regular fixture on the calendar for many years, but dropped off in 1987. It was redeveloped in the nineties and, renamed the A1-Ring, it brought Formula One racing back to Austria in 1997. F1 was once again an annual event until 2003 and after further development the circuit, now named Red Bull Ring, returned to the F1 calendar in 2014. The first practice session will be held on Friday at 17h10. The second will take place the next day at 9h20. The Saturday programme will be completed with qualifying sessions at 13h50 and 17h25. On Sunday, race 1 begins at 10h25, while the start for race two is scheduled for 18h20. They will be aired live on Eurosport 2 International, Eurosport UK and Eurosport 2 France.